From the ancient heart of Mother Earth in Mary’s chapel in Glastonbury Abbey. Channeling through Hari Das 17th May 2000. We would like everybody to do here is really just focus on harmony and balance. It is not a question of concentration it is a question of allowing harmony and balance and harmony and balance which I speak of is harmony and balance for the earth mother, harmony and balance for that central crystal which is the true heart of mother earth. As we think and focus on this harmony and balance lets just allow this Mahatma energy that we have been working with over the past days start flowing through us in accordance with divine will in accordance with the will of each and every individuals I am presence’s or higher self. So again it is the time to let the affirmation to flow through your mind. I am that I am the Mahatma in love and as this Mahatma flows through us you could see, feel, allow, imagine just this energy vortex becoming harmonious and into balance. Just like that flowering lotus on the surface of the lake opening to meet the morning sun. And as this vortex opens in harmony and balance feel your own crown chakras opening in harmony and balance. Feel that thousand petal lotus again blooming and blossoming to welcome the morning sun. As we work with this energy and allow it to flow through us I have a being here who makes jokes. It is the voice of St. Germain. It is my delight to speak to you through this one and as most of you would know I do like to make jokes. Well I am not here to tell you how good you are. I am not here to tell you how perfect you are. You all should know that you are perfection by now. I am not here to tell you how holy you are. You should know that you are all Christed ones. I am here to tell you that the service you perform in this moment by bringing this energy through each and every one of you into this vortex, which harmonizes and balances is good service. Is good service not only to your selves to each and everyone of you as an individual but to your mother, goddess Gaia, mother earth. I Germain will now start increasing this energy with you and let us take this energy up in strength. So that you as individuals will also gain strength from it as well as mother earth so I do that now.You see as we increase these energy see the number of beings that are attracted to this place because of it. And as this energy flows through you just let every cell in your body, every subatomic particle, every atom, super electron dancing, vibrating, pulsating to this energy. Now just see, feel, allow, imagine this energy transfer into your lightbody. To your Christ overself body, your Adam Kadmon. Feel your selves expanding, expanding in this light and this christed love. And as this christed love expands through you, through every part of you now is the time to integrate that you are all christed. And what does being christed mean? It means that you have realized that you are love and anything apart from that realization is disconnecting your self with the whole of Creation. 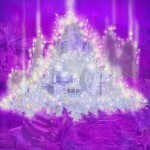 We will now bring further energies to you to help you to integrate your part in the whole of Cosmic plan. I now activate your earth star so this energy may flow through you into the body of the mother. I activate now. Understand my friends as each channel blooms and grows and each and everyone of you are channels whether you understand that or realize. As each channel blooms and grows you have access to higher amount of this energy this christed energy. It is not that you are a higher being because of it. It is not that you are more then anybody else. It is because of the realization that you have, that you know that you are capable of absorbing all love. Feel, be, you are. We now bring more to you. 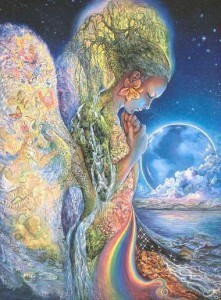 As this energy flows through you feel your heart chakra expanding. Feel, see, allow, imagine your hearts connected with the hearts of others in the circle. And feel the expansion in this love. Make a conscious effort my friends to connect your selves with this love any time you realize you are living in something that is not love. You may ask the angels and the archangels, the ascended lords and ladies of Shambala, the galactic masters and the starry brothers and sisters for they, we are always be at your service. Bless you. Realize that these blessings will accompany you on all your journeys, in every aspects of your life. You only need to be open to them to receive them. It is a choice which each and everyone of you have to live in the blessings and be christed or to be separated and in confusion. Remember that for my self I, Germain would prefer to live in the blessings and I would ask each and everyone of you at least give it a try and see how it affects your lives, see how it affects the lives of others around you. When you are a christed and blessed, all ones that come in contact with you, even walking past you or driving past you in the streets or ways they will be affected by your christedness, the blessings are passed to them whether they know it or not. Namaste.